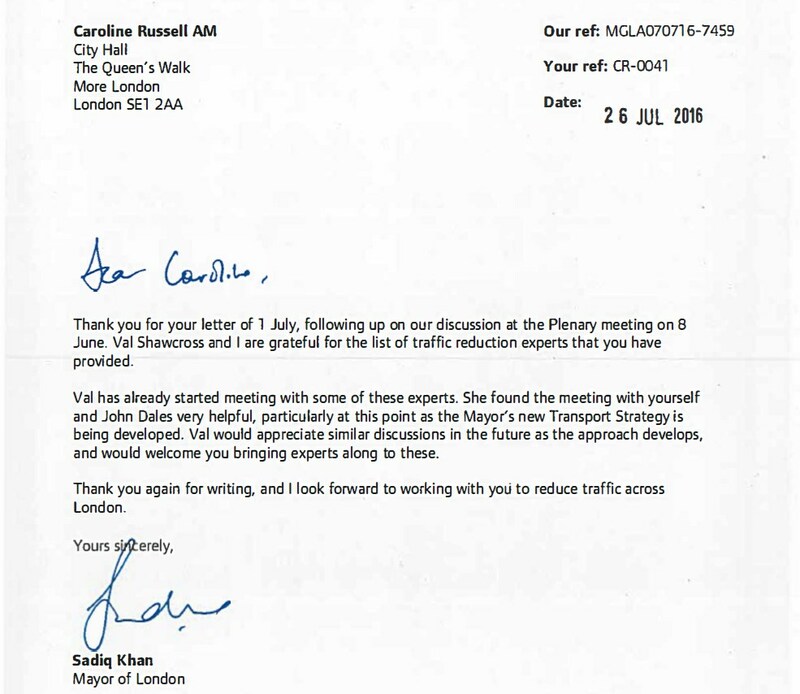 I wrote to the Mayor to recommend a lost of traffic reduction experts he, or the Deputy Mayor for Transport Val Shawcross, could meet to help inform the development of the new Transport Strategy. We need decisive action from the Mayor to cut traffic and bring London’s air pollution levels within legal limits. Reducing congestion on the roads will mean reducing air pollution, improving bus times and cutting road danger. Londoners should be able to trust the air they breathe. I was pleased the Mayor welcomed my recommendation to meet with traffic reduction experts – you can read his response below. “Thank you for your letter of 1 July, following up on our discussion at the Plenary meeting on 8 June. Val Shawcross and I are grateful for the list of traffic reduction experts that you have provided. “Val has already started meeting with some of these experts. She found the meeting with yourself and John Dales very helpful, particularly at this point as the Mayor’s new Transport Strategy is being developed. Val would appreciate similar discussions in the future as the approach develops, and would welcome you bringing experts along to these.